Genetic screens of M. tuberculosis (Mtb) have identified a broad collection of targets involved in diverse biological functions – viability, infectivity, pathogenicity, persistence, and reactivation from dormancy. 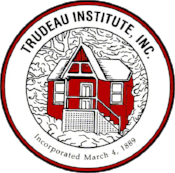 We have assembled and curated a Trudeau virtual collection of small molecule drugs and drug candidates from publicly available sources and the PharmaProjects database (Informa Intelligence, UK), licensed by the Trudeau Institute. We use large chemogenomic databases, rapid GPU (graphics processing unit)-implemented 3D molecular shape comparisons, as well as other chemoinformatic, computational chemistry and protein structural informatics tools to identify drugs and drug candidates in the Trudeau collection most likely to penetrate through the bacterial cell wall and to interact with Mtb proteins. Bacterial systems biology methods are employed to characterize mechanism of action of bioactive hits. New approaches to the genetic manipulation of bacteria and the development of systems biology methods to assay the expression levels of all genes and the concentrations of a multitude of metabolites have enabled a systems approach to the determination of mechanism of action (MOA) of novel antibacterial compounds. A traditional method for identifying the target of an antibacterial entails the selection of resistant mutants and cloning the gene encoding the resistant allele. That process is now dramatically accelerated by our ability to sequence the complete genome of resistant mutants in a matter of hours. The power of this genomics approach is enhanced by the complementary systems biology tools transcriptomics and metabolomics. By determining how a compound perturbs the gene expression profile and metabolite levels we can identify the metabolic pathways that are being affected by the compound and develop hypotheses regarding molecular targets. Genetically varying the expression levels of putative targets is used to verify the drug’s target, since strains are expected to be more sensitive to test compounds when the target is underexpressed and more resistant when the target is overexpressed. Together with our TRN partners we are developing workflows and criteria for selecting promising candidates that can be rapidly advanced towards clinical study to assess early bactericidal activity (“EBA study”). We are benefiting from a robust “virtual biotech” ecosystem in New York State and the Northeastern US to efficiently conduct R&D programs in partnership with select specialist organizations.